I belong to the America Lighting Association as do many other lighting showrooms, lighting manufacturers and lighting representatives throughout North America. I think this association is really worthwhile. They run an annual conference and provide training for lighting designers and showroom employees throughout the year. And they maintain a web site loaded with information for consumers. If you want some ideas about how to light your home, I urge you to visit www.americanlightingassoc.com to take advantage of all the useful information presented there. I became a Certified Lighting Consultant, the highest certification bestowed by the ALA, because I feel it is necessary to be as helpful as possible to my clients. (There are fewer than 1,000 CLC’s throughout North America and only two in Maine). Other degrees offered are: Lighting Associate, Lighting Specialist, Certificate Specialist and Certified Lighting Manufacturers Representative. Fogg Lighting has sent all our employees to training programs and I am proud to say we have several Lighting Specialists on our staff. When you see the American Lighting Association logo on a lighting showroom’s door you can be fairly certain that that showroom is a reputable organization. The following is a re-print of an article thta appeared in the New York Times yesterday. It illustrates how the dramatic changes that lighting will undergo in the near future. AFTER the joy of the birth itself, parenthood sometimes brings the unwelcome news that a newborn has jaundice and must wear goggles and be placed under special lights. Imagine how different this experience might be if there were no goggles, just a warm blanket covering the tiny body, a healing frequency of blue light emanating from its folds. That comforting scene, already a reality in some hospitals, is evidence of the fundamental rethinking of lighting now under way in research labs, executive offices and investor conferences. Digital revolutionaries have Edison’s 130-year-old industry, and its $100 billion in worldwide revenue, in their sights. Color, control and function are all being reassessed, and new players have emerged like a wave of Silicon Valley start-ups. “This is the move from the last industrial-age analog technology to a digital technology,” said Fred Maxik, the chief technology officer with the Lighting Science Group Corporation, one of many newer players in the field. The efforts start with energy efficiency and cost savings but go far beyond replacing inefficient incandescent bulbs. Light’s potential to heal, soothe, invigorate or safeguard people is being exploited to introduce products like the blanket, versions of which are offered by General Electric and in development at Philips, the Dutch electronics giant. Innovations on the horizon range from smart lampposts that can sense gas hazards to lights harnessed for office productivity or even to cure jet lag. Digital lighting based on light-emitting diodes — LEDs — offers the opportunity to flit beams delicately across stages like the San Francisco-Oakland Bay Bridge — creating a light sculpture more elegant than the garish marketers’ light shows on display in Times Square, Piccadilly Circus and the Shibuya district in Tokyo. In the United States, lighting consumes more than 20 percent of electric power generated each year; the Energy Department says LEDs can cut consumption by up to 80 percent. LEDs — also called solid-state lighting — are already a $12.5 billion business worldwide, according to analysts at the research firm Strategies Unlimited in Mountain View, Calif. A 2012 McKinsey report estimates LEDs will be an $84 billion business by 2020. But there is an obstacle or two facing the LED revolutionaries. One is existing modes of lighting: Edison’s screw-based socket, the office’s fluorescent ceiling tubes, and metal halide or sodium lights in parking lots are not going away anytime soon. Another hurdle is public wariness after the environmental exhortations of the 2000s, which led to much-disputed federal legislation to phase out the old incandescents, often in favor of compact fluorescent bulbs. In pursuing their goals, advocates played down problems like the harshness of fluorescent light, and difficulties with dimming the bulbs and dealing with the toxic mercury they contain. Now, some lighting scientists say, both consumers and investors are leery of buying into something they suspect might be substandard. Another powerful force for continuity is the psychological legacy of light as we know it — from sun to candle to bulb. Isn’t the cartoon shorthand for a new idea a glowing bulb over the thinker’s head? So some companies are selling the new digital lighting in forms that will fit into the prerevolutionary world, with its sockets and streetlamps — including familiar bulb shapes. Philips is producing a bulb called Hue that fits into the old sockets and not only dims and brightens, but also changes colors on command. Mr. Crawford said that in his lamps division, 25 percent of sales income now comes from LEDs; he expects it to increase to 50 percent in two years. In 2008, that number was close to zero. The cost barrier is getting lower. Until recently, it typically cost $30 to buy an LED that could replace a 60-watt glass incandescent bulb bought for less than a dollar. Now Cree, a semiconductor manufacturer, has 40-watt and 60-watt LED equivalents for $10 and $14. Energy efficiency is only the beginning, according to experts on the lighting innovations. Take communication between lights. At the University of California, Davis, a bike path illuminated at night with a “just in time” system has one light node alerting another and another down the line as a bicycle goes by, progressively lighting the rider’s way, then dimming back into an energy-saving mode. Michael Siminovitch, director of the California Lighting Technology Center at the university, said that with the new technology “we’re going to be able to create a variety of control features in terms of how we introduce points of light in space, but we’re also going to be able to do it with planes and areas of light.” For example, he said, there could be light-generating ceilings or walls. Engineers like Mr. Maxik at Lighting Science are now imagining cities that light their streets as needed, without benefit of lampposts. He has created a fixture that could replace the reflective medians in highways south of the snow belt. Once installed along the road’s centerline, they provide as much illumination as streetlamps. The metal and wiring that go into the streetlamp would be unnecessary. Lighting Science has teamed up with Google to develop a light bulb — soon to be available — that is controllable with an Android phone app. But just as it will take consumers a while to give up familiar light sockets for lights embedded in walls or ceilings, it is likely to take cities and their public works departments some time to give up their lampposts. Recognizing this, other companies, like the newly renamed Sensity Systems (formerly Xeralux) are reimagining lampposts as nodes in a smart network that illuminate spaces, visually monitor them, sense heat and communicate with other nodes and human monitors. In addition to such functions — which could raise privacy concerns, though perhaps less so after the Boston Marathon bombings — the new systems could sharply cut the cost of street lighting. The data could be sold to app developers who could create, say, an app to help find parking. Many of the elements of the nascent revolution seem in place. A host of relatively new entrants — Lighting Science, Eye Lighting, Ohm Lighting and TerraLUX among them — are moving into what had been a market dominated by large, established companies like General Electric, Philips and Osram Sylvania. In both the newer and older camps, researchers are trying to reimagine uses for light and ways of controlling it. What kinds of controls? Adjusting the intensity of a light between dim and bright, of course, has been done for decades — but not often in outdoor settings. Other options, indoors and out, include changing the frequency and color of the light, or having it pulsate — think of the multicolor displays atop the Empire State Building. This color-changing capability has applications far beyond the theatrical. Consider sea turtle hatchlings leaving nests along the Florida coast that are led astray by bright white lights, luring them inland when they should head seaward. Lighting Science is one of several companies that offer a solution; its $29.99 amber “turtle lights” are on sale in Satellite Beach, Fla., near the most active turtle nesting area. For the workplace, Osram Sylvania’s researchers are looking to control light to improve office productivity. As Lori Brock, director of research and innovation at the company’s technology lab in Massachusetts, said: “It optimizes the illumination for the task you’re doing. If you sat at your desk to use the computer, maybe the overhead light would dim, increasing the contrast so you could see better. Other lights could go to an energy-saving hue.” Ideally, productivity increases while energy costs decrease. As for health applications, the Lighting Research Center of Rensselaer Polytechnic Institute has focused its research on the physiological and psychological impacts of light. This might lead to light fixtures in hotel rooms and elsewhere that enhance sleep or restore the circadian rhythms of jet-lagged travelers. Philips’s lighting division is working on a product that allows people with psoriasis to have light treatments at home, not in the hospital. It has also introduced a blue-light-emitting poultice to relieve muscle pain by releasing the nitric oxide in the patient’s system, stimulating blood flow. Please visit FoggLighting.com and like us on Facebook. Stay up to date on lighting, the fastest changing technology for the home and workplace. Under cabinet lighting is an essential part of a kitchen lighting plan. It puts light on the counter top where the fine tasks occur and it adds an interesting layer of light to the kitchen. If you can not see what you are doing, knife work can be dangerous work, but when the knife work is done the lights can be dimmed for an subtle effect. Under cabinet lighting comes in many flavors: fluorescent, halogen, Xenon and LED. And those options come in many styles: puck lights, tape light, rope light, enclosed fixtures and several other options. 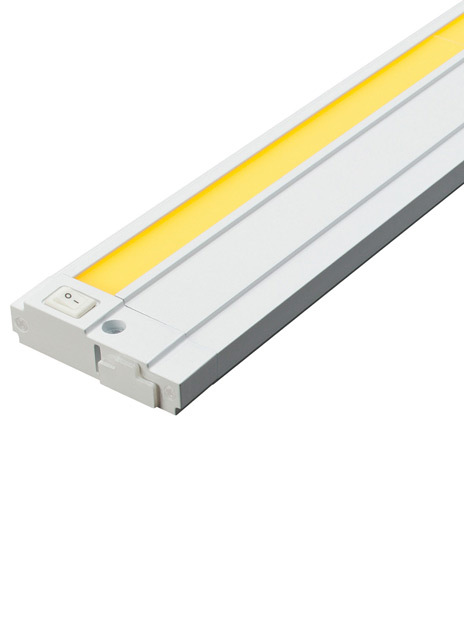 I am promoting LED under cabinet lighting because it has a really long life, it does not produce heat and it does not attract insects. You should be aware that the counter top impacts under cabinet lighting. For example, a polished marble counter top will reflect under cabinet light and produce glare. If you use tape light or any other type of fixture that has individual light bulbs, each or those bulbs will be reflected on the counter. That is why my new favorite under cabinet light is the Unilume LED from Tech Lighting that is pictured here. It has a shield over the individual bulbs that gives a nice even light with no hot spots. Please visit FoggLighting.com and like us on Facebook. I am always available to answer your questions. How often do you go into a bathroom? I will bet it is at least once or twice a day. And why do you go into a bathroom, other than to answer the call of nature? You probably comb your hair, or shave, or apply makeup or read the newspaper or take a shower or engage in other grooming activities. And what do all these tasks have in common…they require lots of light, good, non-glare light installed in the appropriate places. I talk with clients all the time who are going to use a fan-light as the main light in their bathrooms. I don’t know if you have noticed or not but most fan-lights do not provide much light. (They don’t do much as a fan either, for that matter). When my wife and I moved into our house a few years ago the vanity lighting was provided by two puck lights in a valance above the sinks. I really don’t know how the previous owners could see! When I design a lighting plan for a bathroom I go all out. Showers should have recessed lights in them so you can see yourself (in addition to being able to admire all the expensive tile). Vanity lighting should come from the sides if possible thereby eliminating the shadows that an overhead light produces on the face.A good light should be provided for the toilet (think from the male prospective). Good ambient lighting should be provided for the whole room so you can see to clean. These lighting requirements serve to add layers of light to the room as well as providing adequate light for all the tasks performed there. A fan is sometimes required by code. Don’t make the mistake of accepting the idea that a fan-light will substitute for any of the lights mentioned above. And insist on a low sones (quiet) fan. They are not much more expensive, but they are much more enjoyable. Please visit FoggLighting.com and like us on Facebook. Learn about lighting so you can be involved in all the lighting decisions at your house. How old are you? How long are you going to live in your home? These are two of the most important questions that should influence your lighting decisions. If you are 25 years old and are going to be moving up to a new house in 5-10 years lighting is not as crucial as if you are 55 and plan to live in your house for 20-25 years. As you age less and less light reaches your retina. 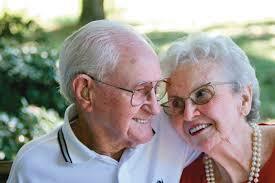 When you are 60 only 1/3 as much light reaches your retina as when you were 20! That taken together with the facts that 50% of the 65-75 year old population have cataracts (70% of over 75 year olds), 25% have macular degeneration, and 3% have glaucoma makes lighting a very important consideration. Take control of your lighting design. 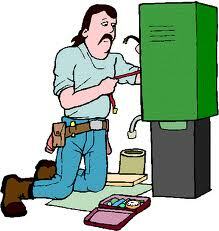 Chances are your contractor and electrician are a lot younger than you so they do not appreciate your vision. The same applies to your children. They can not appreciate what you see or do not see. I am 66 and plan to live independently as long as possible. I know that my vision is not as good as it used to be. I am studying lighting as it pertains to older Americans. If you want some advice, call me. Please visit FoggLighting.com and email any questions or comments. The American Lighting Association is a great resource for information. So you are building a new house or remodeling the one you live in now and you hire a contractor who works with subs, one of whom is an electrician. You meet with the electrician and he says: “I’ve wired hundreds of houses. I’ll walk through with you and tell you where I think you should have lights.” Wow! This guy must be good. He’s wired hundreds of houses. Maybe he’s good and maybe he isn’t. Remember he is going to be wiring your house, a really big investment, and a really important component. And he is not going to be cooking in your kitchen or washing your dishes, or putting on your makeup or entertaining your friends. In fact, he is going to do the quickest job he can possibly do and then go on to the next job because that is how he makes his living. He probably quoted the contractor a fixed price based on what he has done in those hundreds of previous jobs, and anything out of the ordinary he resents doing because of his contract. I am not saying the electrician is intentionally doing a bad job. He is probably doing what he always does because that is in his comfort zone. The problem is that the way he has always done things might not be optimal. You should really care about the lighting because you will be living with it for years, recessed lighting in particular because if it is installed improperly it is really expensive to change later. You should educate yourself in proper lighting design or hire a lighting designer/consultant (like me) before the wiring in your house is “roughed in.” Actually you should really do this before construction begins. I don’t care if you are building a mansion or a really modest home. You really should “drive the bus” when it comes to lighting decisions. I don’t care where you buy the lighting (I really do, but that’s another story) just take charge. It’s your money. Fogg Lighting is an American Lighting Association member. We pride ourselves on continuing our lighting education. We work hard to stay current with what is going on in the industry. And we are good at lighting design. Visit us at FoggLighting.com and please contact us with any of your lighting questions. Luminous flux is the term to describe the total output of light from a light source. The unit we use for luminous flux is lumen. The lumen rating for a lamp is the total output of light in all directions from a lamp. It does not take the directionality of light into consideration. Furthermore lumen is not the total energy radiated from a light source but is the energy that falls within the range of human vision. Ultraviolet and infrared energy are also produced by most modern light sources and the human eye can not see that energy. The Illuminating Engineering Society defines light as “visually evaluated radiant energy.” The graph below shows the human visual response curve. Our vision is not equally sensitive to all the wavelengths that comprise vision. Therefore lumen rating is based on our visual response. Our visual system responds more strongly to energy toward the center of the spectrum, the green-yellow area of the spectrum. We respond less strongly to the blue and red area of the spectrum. 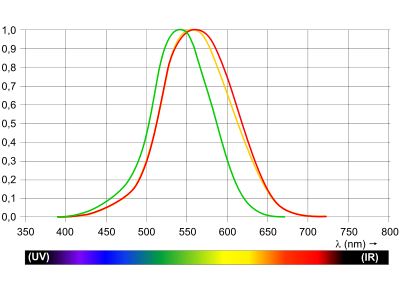 Consequently lumen output is affected more by central wavelengths than by wavelengths from either end of the spectrum. The end wavelengths are important for color but are not so important for lumen output. In a directional lamp it is important to know how much light is going in one direction, and lumen output does not define that for us. We need to know the density of lumens contained within the cone of light. This density is know as luminous intensity, and the unit we use to describe this is candela or candlepower. More about directional light in a future post. It is important to know about lumen depreciation. Manufacturers publish data on initial lumen output of their lamps. Usually this data reflects lumen output after 100 hours of operation. Lumen output gradually decreases as lamps operate beyond the initial 100 hours, and this decrease is know as lumen depreciation. The reason for the decrease in incandescent light bulbs is because the tungsten filament evaporates and/or the capsule darkens, and in fluorescent lamps it is due to phosphor depreciation and changes in the lamp cathodes and electrical properties. Please continue to follow my blog and visit FoggLighting.com. Like us on Facebook. Always start with the light bulb when deciding how you want to light a room or a wall or a piece of art or anything. The fixture is secondary to the lamp (how lights bulbs are referred to by lighting professionals). 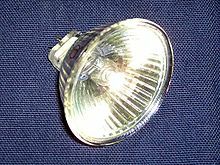 We are discussing directional lamps here so one of the most common lamp types is the MR16, a 2 inch diameter mirrored reflector. It is used extensively in recessed lights, track fixtures, monopoints and landscape lights. It is one of many directional lamps available today. Other directional lamps include PAR, BAR and AR. These designations are followed by numbers, 16, 20, 30, 38, etc. The numbers are the measurement of the face of the light bulb in 1/8th’s of inches. So a PAR38 is 4.75″ in diameter. To determine which directional light source to use you need a basic understanding of photometrics, the measurement of the properties of light. Most fixture and light bulb manufacturers publish photometric tables that show how different lamps perform. These tables show footcandle levels at different distances from the light source and different aiming angles. They also show the distribution of light at different distances from the center beam of the light bulb. The center of the beam of a directional light is the brightest spot and the number of footcandles at that point is determined by Center Beam Candle Power, CBCP. Therefore you will see this terminology used when describing directional lamps. There is a lot or great information available in the UL app “LightSmart” that you can download for free at the app store. What follows is a reprint of an article about Euroluce, Europe’s amazing lighting show. Euroluce made its bi-annual appearance in Milan last week as part of the annual Salone Internazionale del Mobile furniture fair at Fiera Milano Rho just outside Italy’s fashion capital. A staggering 320,000 attendees take part — that’s more than twice the attendance at the Consumer Electronics Show, just to put it in perspective. The crowds boost the excitement and energy level at an event that’s already elevated in terms of its elaborate booth displays. These stunning temporary presentations often feel like art installations that celebrate design for its own sake — and the designers behind the creations. Design potential of LED. This compact and increasingly practical light source is like a new toy in the hands of designers eager to explore new forms. The most common use of LED seemed to be to hide it around the perimeter of a shape and graze a surface at the center, sometimes bringing out raised designs, textures or trompe l’oeil effects of dimensionality. Only a few of the contemporary exhibitors didn’t integrate LED, speculating that retrofit bulb options would allow LED to be used if desired. But in my view, this misses the point of taking advantage of LED’s unique properties. Mixed media. The incorporation of wood into frames of lamps and fixtures may not feel new since we’ve seen that already stateside, but it was groundbreaking for many glass manufacturers at Euroluce. When your reputation for a particular craft dates back centuries, as it does for many of these Italian exhibitors, you’re very deliberate about selecting other materials to sit alongside your masterpieces. Walnut was the most popular choice, which had the right richness to hold its own with mouth-blown glass. Glossy or ghostly white. Gloss white finishes are another trend already present here as well, but the contours of the sculptural shapes seen at Euroluce just seemed sexier in application. Polished chrome accents were an equally sleek complement. In a more organic vein, matte and textured white finishes conveyed a purity of form in fabrics, papers and fiberglass. These looks had very little, if any, additional adornment or framing to potentially kill the ethereal mood. Retro modern. Nostalgic silhouettes felt delightfully ironic when they housed cutting-edge LED technology. Classic Midcentury Modern styles were exaggerated to emphasize the reference but also indicate that it was only a jumping-off point to take us into the future. The retro vibe was present in display as well as in design, from LZF’s Blue Note-inspired album art to Ares’ homage to Studio 54. I thought you might be interested in what is happening in the world of lighting. Please visit FoggLighting.com and like us on Facebook. Circadian rhythms are internal biological rhythms that are controlled by an external factor which in most cases is daylight. Life on planet Earth has been affected by these circadian rhythms since life began. We are pre-programmed by hundreds of generations to be affected by the 24 hour day/night cycle of light and dark. We now have many sources of artificial light that we use every day. These sources of light are impacting our lives, specifically the quality and quantity of sleep we get. Sunlight qualities changes as day progresses from sunrise to sunset. As sunlight travels through he atmosphere it is refracted and reflected. 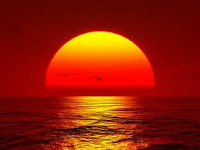 In the early morning there is more of the blue spectrum in sunlight and in the evening there is more red. Melatonin is a chemical produced by the pineal gland in the center of the brain. It is necessary for sleep. Blue light suppresses melatonin production so exposure to blue light before bedtime interferes with a restful night’s sleep and disrupts the circadian rhythm. In nature there is less blue in evening sunlight and more in morning sunlight. That makes it easier to go to sleep in the evening and to get going in the morning. What do we all do every evening at home…watch TV and plan video games on computers. TVs and other video screens emit light in the blue end of the spectrum. This causes low melatonin which results in sleep problems. And this is especially problematical for older people because as we age we produce less and less melatonin naturally. Maybe putting kids in front of the TV just before bedtime might not be a good idea! More information will be forthcoming in future blog posts. In the meantime be sure to visit FoggLighting.com and like us on facebook.